PHOTO: Allen Ramsey, DWCPhoto.com. 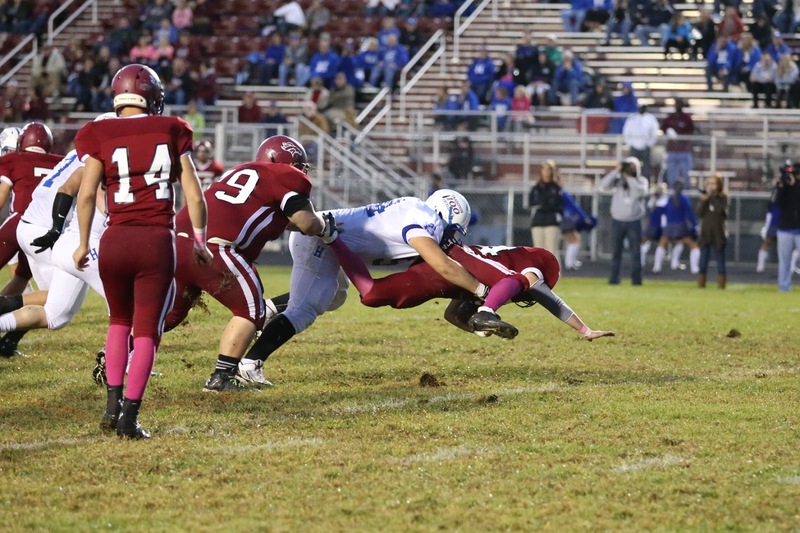 Highlands nose tackle Tyler Robinson makes a tackle against Harrison County last year. He had eight tackles for a loss and 4.5 sacks last year. It's been a trademark for this successful program for a while. Jared Lorenzen, a 1999 Highlands graduate, will be inducted into the University of Kentucky Hall of Fame the weekend of Sept. 25-26 when the Wildcats take on Missouri. He completed 862-of-1,514 passes for 10,354 yards during that time. All three are still school records. 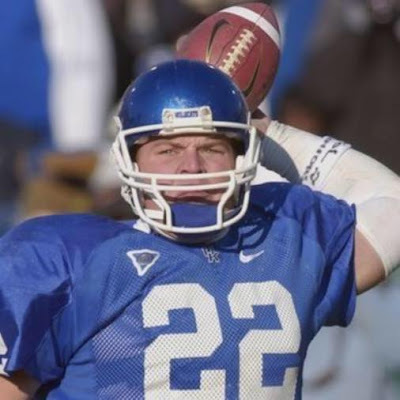 If you open up recent Kentucky Wildcat football media guides, his name still stands tall. PHOTO: Allen Ramsey, DWCPhoto.com. Highlands junior running back Jared Pulsfort (91) scores against Covington Catholic in a junior varsity game last year. Pulsfort could earn some carries this season. Complacency could have set in years ago. It often happens after teams win that first state championship. But for this program, after the first title in 1960, another followed in 1961 and it would not be the last one in a while. 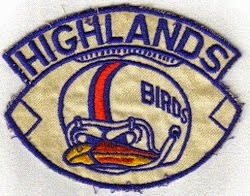 More of them came and 55 years after that first one, the Highlands Bluebirds football team has built a dynasty. PHOTO: Allen Ramsey, DWCPhoto.com. 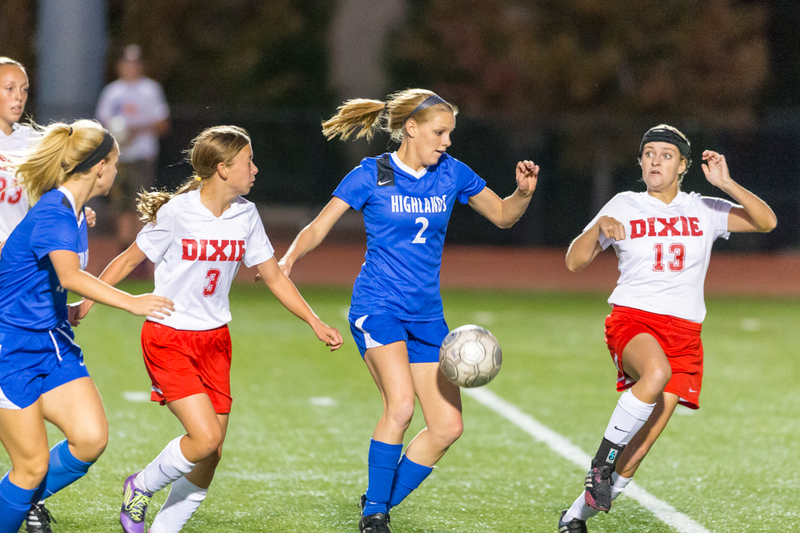 Highlands senior Ellie Farley (2) makes a move against Dixie Heights in a game last year. Farley is one of six seniors returning this season. It may not be fair to compare. Contributed Photo. The 2006 Highlands Ladybirds pose after winning their second straight state championship. Editor's Note: This is the last story commemorating the 2005 and 2006 Highlands Ladybirds state champion soccer teams. This class recognizes the Class of 2009 members on those teams. Not only did the Class of 2009 make its contributions to the two state championship teams. But those players had the best run in school history going 80-11-11 in four years of high school. Contributed Photo. 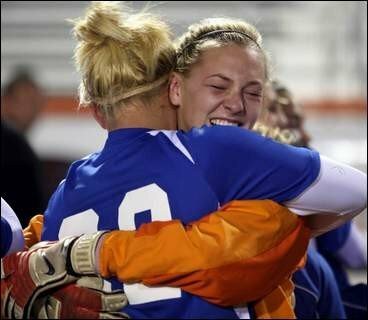 Highlands teammates Amber Barth-Wells (front) and Sydney Hiance (back) share an embrace after Wells scored the game-winning goal in the 2006 state championship game against Louisville Sacred Heart. The goal came with 1:01 left. Wells finished second on the team with 29 points on 11 goals and seven assists that year. Contributed Photo. Highlands sweeper Caitlin Beck goes up for a ball during the 2006 season. Beck helped Highlands to a state-record 20 shutouts in each of the 2005 and 2006 seasons. She went on to play collegiately at the University of Louisville. 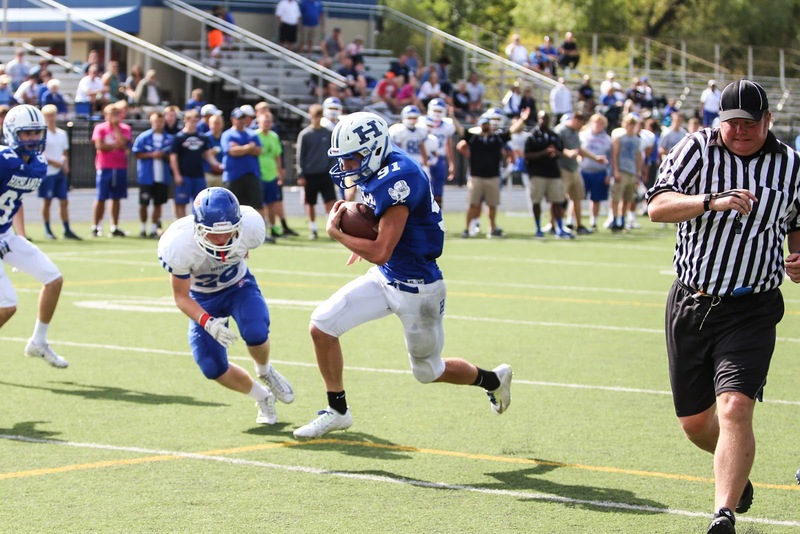 Editor's Note: This is the third of four stories commemorating the Highlands Ladybird back-to-back state championship teams of 2005 and 2006. The story recognizes the Highlands Class of 2008. Those members were sophomores and juniors on those teams respectively. Some had huge on roles on the 2005 senior-laden state championship Highlands Ladybirds soccer team. Others from the Highlands Class of 2008 had to wait for their time. Contributed Photo. 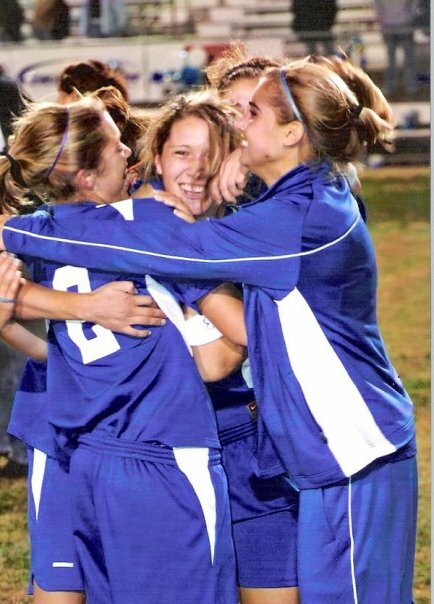 Highlands' Jenna Klingenberg-Stewart (left) and Rachel Redmond-Stahlhut (center) celebrate after winning the 2005 state soccer championship. Stahlhut kicked the game-winning penalty kick against Lexington Catholic. 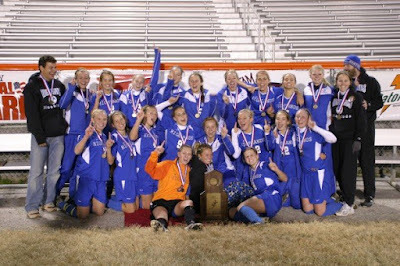 Editor's Note: This is the second of four stories honoring the Highlands 2005 and 2006 back-to-back girls soccer state championship teams. This story recognizes the Class of 2007 seniors. It takes one class to set the standard. Then another one hopes to set it even higher. That's what the Class of 2007 accomplished as members of the back-to-back 2005 and 2006 Highlands Ladybirds state championship soccer teams. 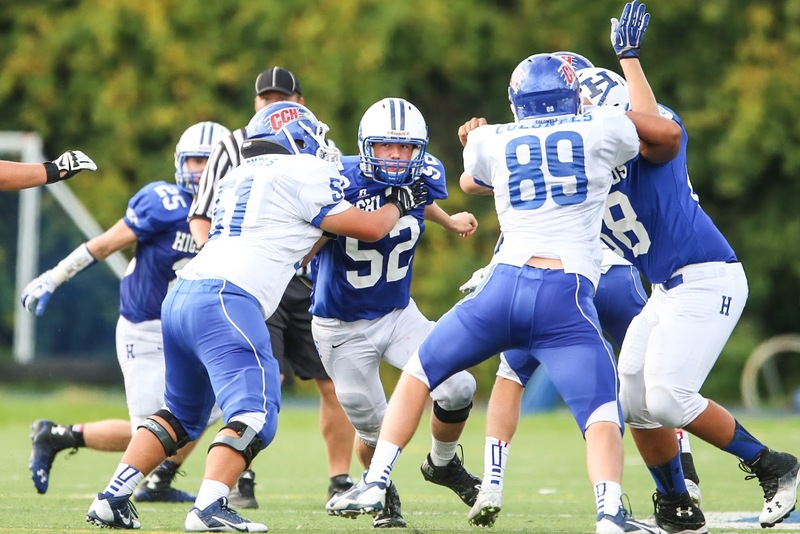 Those teams finished a combined 45-3-3 and recorded 20 shutouts each season, which is still a state record. PHOTO: Allen Ramsey, DWCPhoto.com. Highlands defensive lineman Connor Myers makes a move in a junior varsity game against Covington Catholic last year. 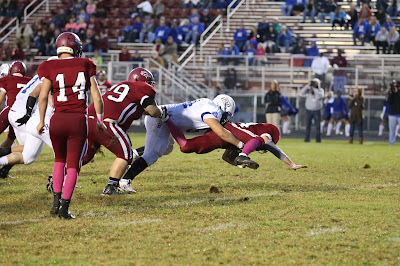 The Bluebirds face seven opponents from the northern three Kentucky counties in the regular season this year for the first time since 2010. It seemed like long road trips during the regular season would become a normal thing the past two years. Contributed Photo. The 2005 Highlands girls soccer state championship team had solid leadership with nine seniors. 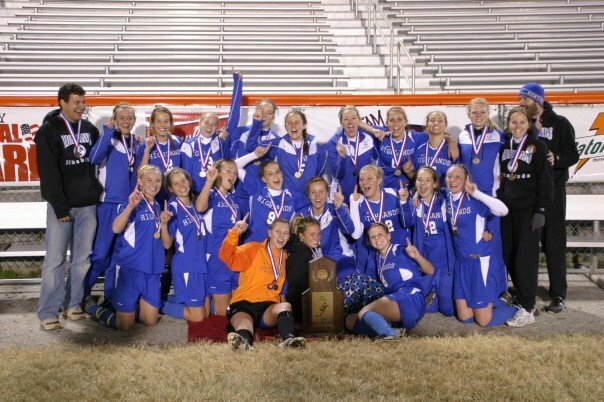 Editor's Note: This is the first of several stories commemorating the back-to-back Highlands girls soccer state championship teams in 2005 and 2006. This story recognizes the seniors of the 2005 squad. 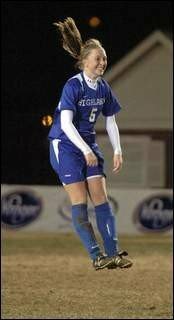 Slightly before the 2005 season, veteran Highlands girls soccer Head Coach Nina Kearns sensed something special in the air, especially when the team picked its uniforms.